The Watford BC Masterplan of the Ascot Road area / Western Gateway contains 5 phases of development which could total around 2,000 dwellings. in respect of the proposed high rise development to the east of Ascot Road. Although our original interest had been sparked by the inclusion of a 25 storey /135 metre high /tower block, are you aware that accompanying the tower block will be an annex (6 storeys), Street Corner (7 storeys), Townhouse (6 storeys), and Urban Apartment (9 storeys), 485 dwellings in all, presenting a close cluster of buildings with a mass and height unprecedented in Watford and on the periphery of its boundary line? This mass of development is represented in charcoal colour on the attached diagram but it is merely a part of the first phase of five phases. 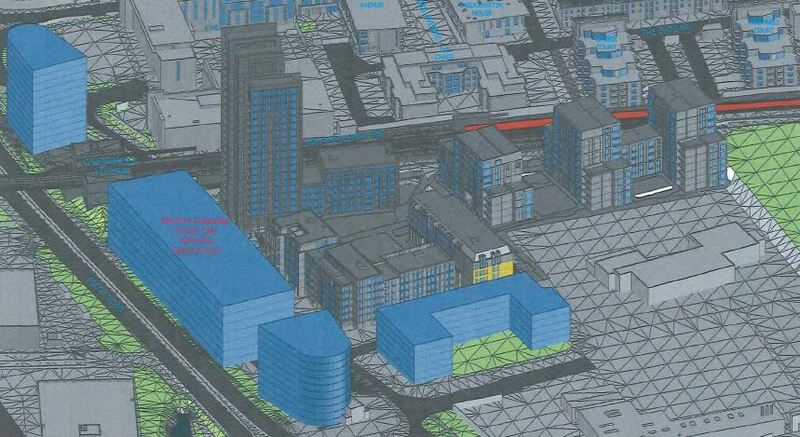 Of equal concern are some other phases (in cobalt blue on the diagram) on the other side of Ascot Road which could be at least 10 storeys high and which could cater for a similar number of dwellings (nearly 1,000 dwellings in total in this small area if the developers get their way). 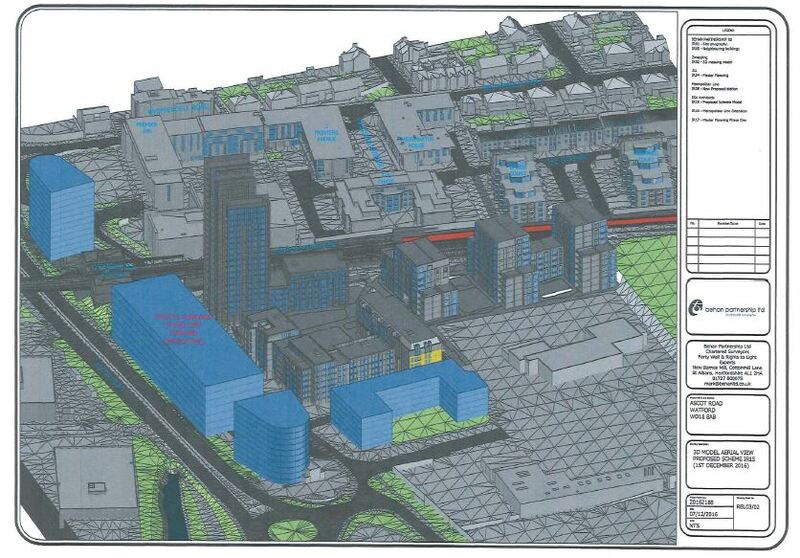 Do visit the CGRA website and follow the link for the (14 page) Watford Borough Council Masterplanning study document. If you consider that the entirety of the much hyped, nearby, Watford Health Campus area is only designated for 711 dwellings you can see that a vast metropolis, centring on Ascot Road, has been quietly planned by Watford Borough Council over many years that will dominate the skyline and utterly change the area. Whilst there is no doubt that this site requires enhancement the sheer mass and height will be overwhelming. If you too have concerns about the enormous scale of this initial development it's not too late to air your concerns to the Council at developmentcontrol@watford.gov.uk, quoting the current application reference number.